Late last year I made a decision to change the tone of my online posts so that the readership makeup would be fewer peers (accountants, attorneys, advisers) and more prospective clients (small business owners). Simple and logical, for sure, but this was the first time that I really noticed that most of my online audience were not in my target market. It looked then like 8 out of 10 readers of my online posts were other professionals. This planned transition in my published content to affect the readership is still underway. I am still internally brainstorming how to do this. Yet I am pleased to already notice some progress. 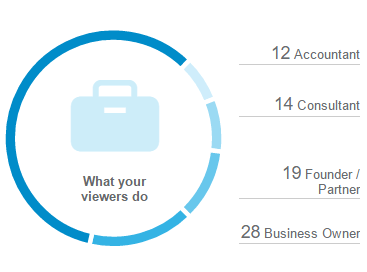 LinkedIn now reports that the largest group of post readers in the past 90 days are identified as small business owners. I know that there is much room for growth and improvement, but at least it shows progress.